Switzerland is a marvelous year-round destination, but for many, autumn is THE season. Summer crowds are gone, ski season is not yet upon us, and over the space of a few weeks, the hillsides go from deep green to vivid shades of yellow, russet and scarlet. Chestnut roasters chase the gelato vendors off their city corners and the aroma of grilled sausages evokes sweater-weather instead of summer cookouts. Growing up in Texas, I looked forward to the crisp energy of fall after the sultry summer months, and to the homey warmth of stews or a bowl of chili. In Switzerland, the summers are not as long or as sultry, but the invigorating presence of autumn is at least as keen, and the season’s flavors are more pronounced. September and October are splendid months for travel in Switzerland. City views are filtered through an autumn sun. 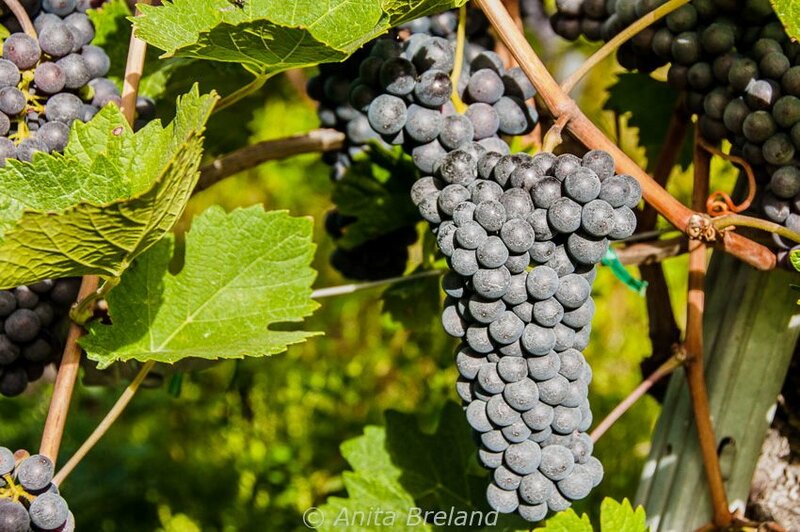 Vineyards are at the ready for a burst of harvest activity as soon as grape sugars reach their peak. Steep alpine valleys beckon, dreamlike in an early twilight. For me, the best of Switzerland comes together in the pairing of harvest celebrations and unforgettable vistas. Here are some of my favorite ways to mark the change of season in Switzerland–not surprisingly, they all involve food! La désalpe, or Alpabzug as it’s called in German, is the name given to the return of Swiss cows from high pastures to their valley homes. The weather may turn dreary, but the occasion is a happy one, and a perfect time to join the locals for food, wine and music. Swiss cows return to the valleys from summer pastures with fanfare. 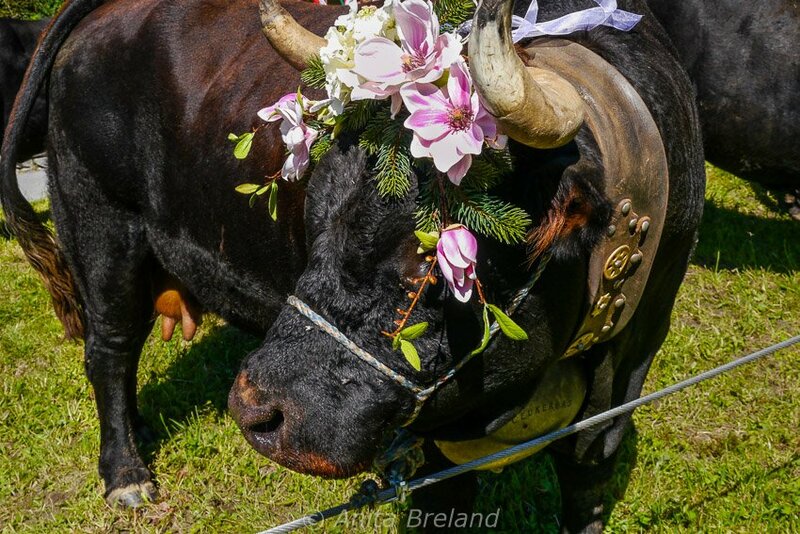 Many, such as this beauty at the Belalp festival, wear pretty bonnets for the occasion. 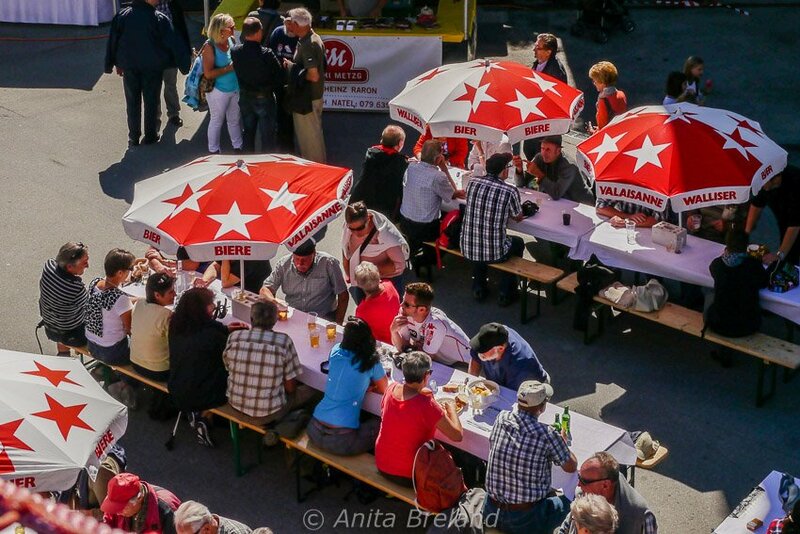 Autumn fairs in Switzerland welcome the cows returning to town from summer pastures, and offer simple meals, music and a chance to meet and greet. Pick up unusual food souvenirs at Swiss autumn festivals, such as chestnut beer and balsamic vinegar with rare Mund saffron. The Swiss celebrate harvests of all sorts: from truffles to walnuts to chestnuts and pumpkins. All are on offer at festivals across Switzerland (and in neighboring Italy, France, Germany and Austria as well). From mid-September until the autumn fairs close in November, there are plenty of opportunities to try local foods with a taste of autumn. Cantonal programs, such as The Valais of the Senses, introduce local specialties and the Foire de Valais in Martigny has been showcasing food, wine and agriculture (and cow fights in the Roman amphitheater) for more than half a century. Severy in French-speaking Switzerland salutes the walnut, and “Castagnatas” (chestnut festivals) are held throughout Ticino in October. 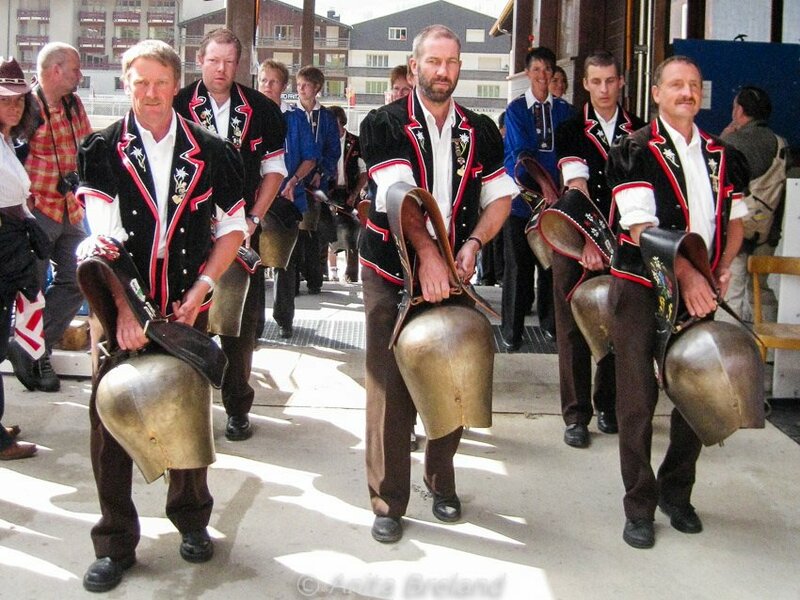 The Chestnut Festival in Ascona is one of the most popular, and a personal favorite. Every part of Switzerland has a wine region, and celebrates the harvest with tastings, vineyard walks and regional menus in local restaurants. 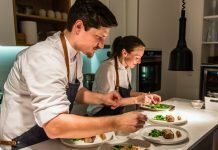 There are days or weekends centered around wine, with food on the side–and events pairing wine and food in equal measure. Also on offer in many places: all manner of artistic and musical programs, from Alphorn concerts to sculpture classes. 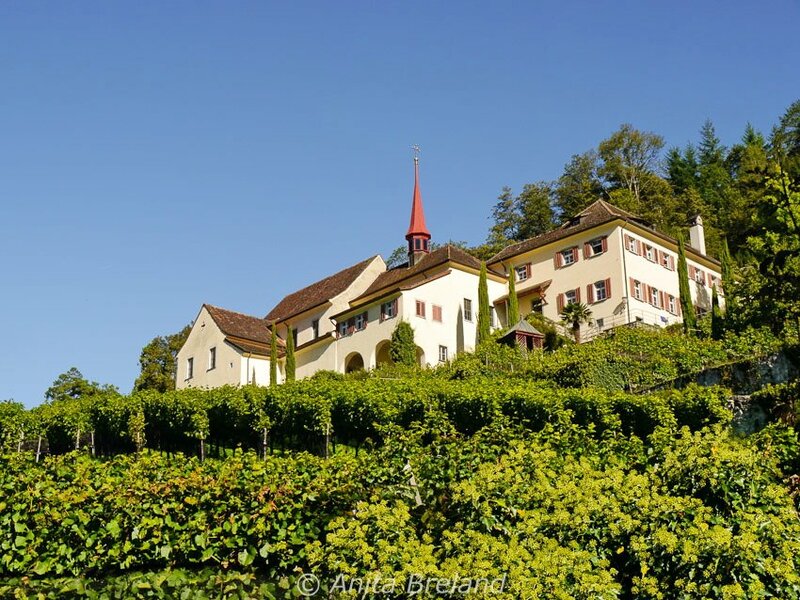 The ‘Cultural Monastery’, for centuries home to Capuchin monks, overlooks a family-owned vineyard in Altdorf. 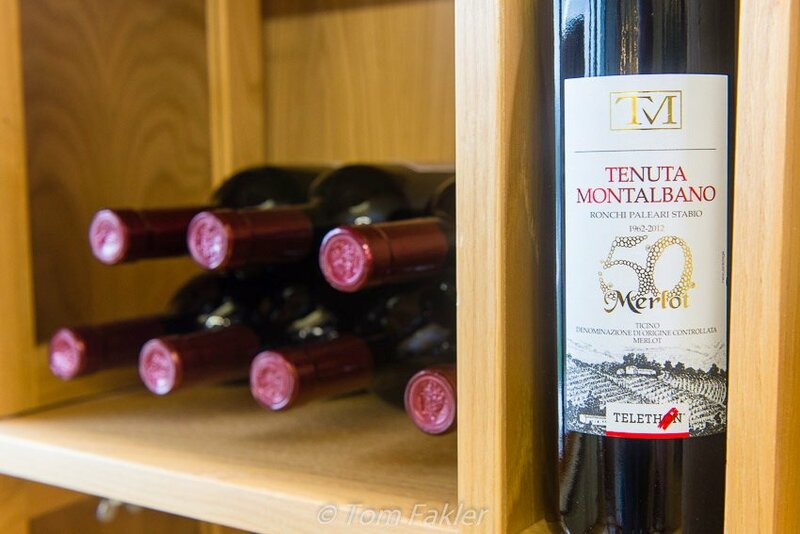 Ascona’s Chestnut Festival is a great time to experience Ticino’s great Merlot (have you tried white Merlot?). Or if your tastes tend to Pinot Noir, check out the various Trottenfeste–autumn festivals in the wine-growing areas around Schaffhausen. Game is on menus all over the country in autumn. Chase down your inner hunter-gatherer with rabbit, venison and boar, or partridge and quail. Yummy sides include fresh chanterelles, poached apples and pears, caramelized chestnuts and often, fresh spaetzle. Alternatively, chow down on risotto in Ticino, and cheesy raclette and fondue just about everywhere. 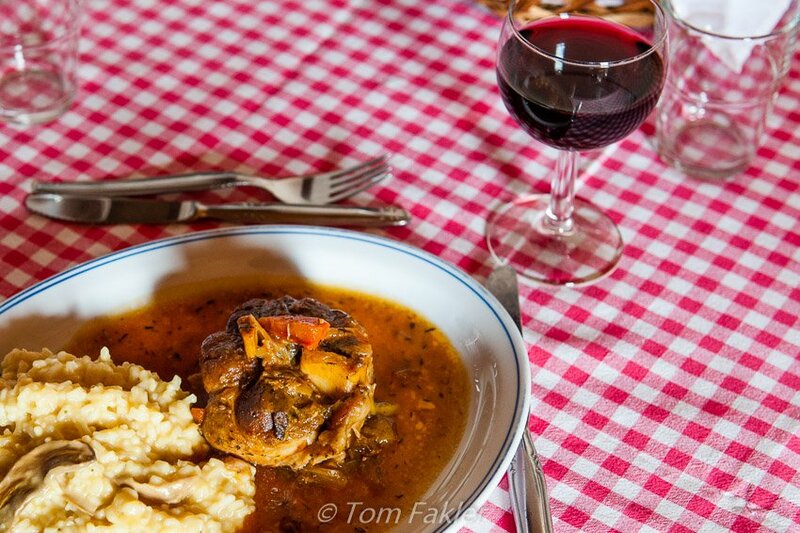 Pork stew with risotto at Osteria Manciana in Scudellate, Mendrisio in Ticino. 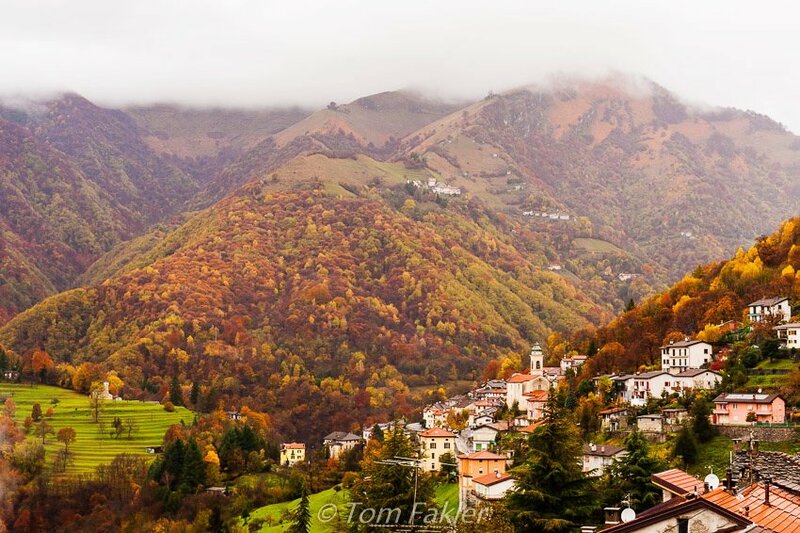 Late autumn in Ticino brings a soft cloud cover to villages and hillsides transformed for the season. Chästelets (cheese festivals) are the time for farmers to divide the cheese from the past year, and for consumers to place orders for next season. For visitors, the festivals are a great way to breath mountain air, taste cheese and see local farmers ring in the season with their giant cow bells. Best of all are the mountains themselves, offering a last glimpse of summer before the chill of winter sets in. At the cheese festival in Wengen, Swiss dairy farmers make a grand entrance, massive cow bells clanging. 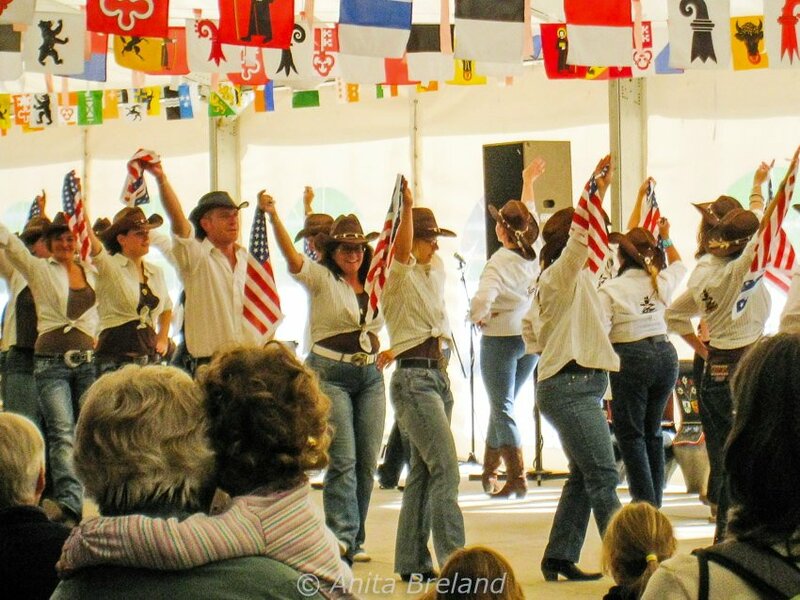 These are NOT line dancers from Texas! Nope these are members of a Swiss dance club, entertaining an appreciative crowd at an autumn cheese festival in Wengen, in the Swiss Alps. 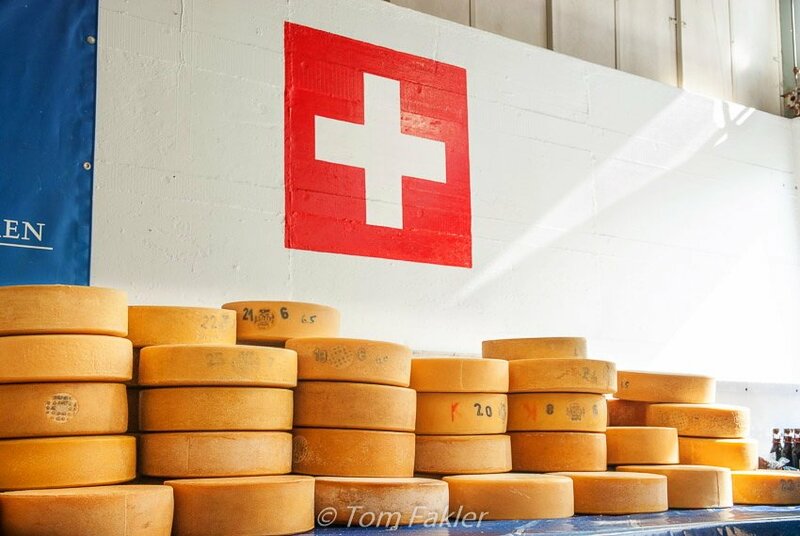 At the annual Chästelet (cheese festival) in Wengen, cheese–date-stamped and ear-marked for customers who put in their orders a year in advance–awaits pickup. Scenic Wengen offers a spectacular view into the Lauterbrunnen valley, along with the annual Chästelet (cheese festival). Before you travel, check the dates and times for seasonal events on MySwitzerland.com. Looking for a sunny place to experience your personal Swiss autumn next weekend, and want to find the event with the best weather? Ask Heidi, Swiss Tourism’s online advisor, for advice. Stay in a Swiss Historic Hotel and double your enjoyment of a stunning season across diverse mountain (and lowland) landscapes (we have enjoyed our stays at several of these atmospheric hotels). The kitchens at hotels as diverse as Villa Carona in Ticino, or Waldhaus SIls and Ritterhaus Chasa de Capol in Graubünden, or Gasthof HIrschen in Eglisau feature seasonal menus and serve stunning local wines. Don’t forget your camera! Spectacular color comes to the lower reaches of Swiss mountains, in a season spanning several weeks. Cows and cowherds wear picturesque clothing. Festivals are decorated with seasonal bunting and showcase local traditions, from stone-throwing to chestnut-tossing to just watching the sun set against spectacular vistas. Do you know Switzerland in autumn? If not, have I tempted you to time your next visit for an autumn sampler? Very good advice for fall travel in Switzerland. So many wonderful places to explore! I am hoping to visit a chestnut festival soon, but may have to wait until next year. Many thanks! Thanks Heddi. There are so many festivals, it can be hard to choose. When you do, enjoy! I think September and October are good times to travel to a number of places. Weather is often pleasant for touring and crowds have diminished. The harvest bounty in Switzerland would be an added bonus (as are the colours on the hills). It would be fun to take in one of the harvest festivals. You’re right Donna! How to narrow down all the places one can get to in the fall?! It’s a hard thing to do, but thankfully in this season, there is often something wonderful not that far away. Wow, stunning, I’ll definitely have to revisit Switzerland and fall time does look ideal especially with all those festivals. Thanks Noel. Your camera would be very happy here in autumn! I’m convinced shoulder and off-season are the only way to go, so if we’re talking Switzerland, autumn or spring would be the best matches for me. 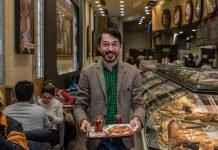 I’d love to go on a tasting tour to the places you’ve featured in this post. 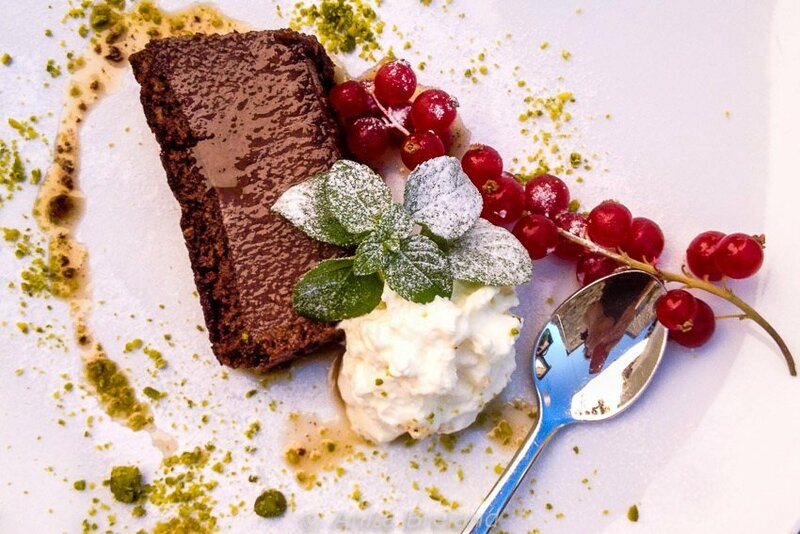 If autumn is Switzerland’s best time for food travel, so much the better! In a compact-but-surprisingly-diverse country like Switzerland, a tasting tour would be very do-able…IMHO, autumn would be the ideal time to do it! You had me at Cheesefest! with a cowbell parade. I wouldn’t know whether to photograph everything or eat myself silly. Never thought about Switzerland in Autumn. i’ve got a friend who’s just moved there. … might have to give him a call! I’ve visited Switzerland in the fall, and it was delicious! I love your images, especially of the cow with flowers in her horns and the big cow bells concert. I’ve always wanted a big cow bell like that. Short stops won’t do the trick when it comes to taking your time in the mountains. Hope you get to return for a longer look-see one day, Jo! I’ve been wanting to go to Switzerland for years but someone haven’t made it yet. Now that I live in Florida I really miss the change of seasons and I’m ready to pack now and head to Switzerland based on this post! Can you get around to most of these places on trains or is better to rent a car? That white Merlot will be calling out to me all day! I moved here from SE Asia, and went gaga over having seasons again…it’s been a delight to discover so many great pleasures of a European harvest season! You can get to virtually all of the harvest festivals by public transport (combo of train and Post bus)…really, to any location served by Swiss Post. It can take time, though, and some planning to make it happen. Europe in the Fall is a perfect time to visit! We were there in October and it was crisp and not crowded. Your trip looked amazing and so are your photos. The only time I was in Switzerland was while I was in college (just a few years ago) and it was in the summertime. Thank you Suzanne! 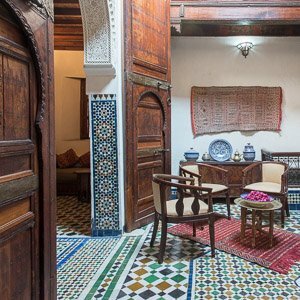 The pics and recommendations are not from a single trip, but they could be. Switzerland is delightfully compact and it is easy to travel here. What a beautiful post, Anita. 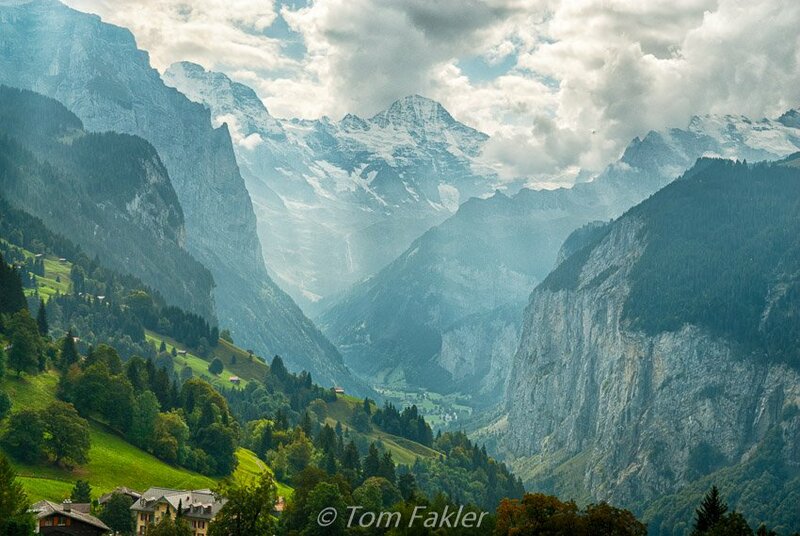 Such gorgeous pics that made me want to book a return trip to Switzerland. It is indeed a delightful place to visit any time of year. Having been there once in fall, I concur that it is a lovely time to visit. P.S. I’m shocked that you didn’t mention Swiss Chocolate! Hi Doreen, I’m glad you approve of my choice of Switzerland in autumn. As for chocolate, it’s good year-round! It was left out only because I’ve not seen it given any special prominence in the fall 🙂 . You have definitely tempted me! My problem is that our Autumn break is quite late, near the end of October, and by then the pretty leaves will be past their best and I suspect the snow will have started in Switzerland. Hmm. Maybe one of these years I can manage a long weekend in September. Your pictures make me want to go there NOW! 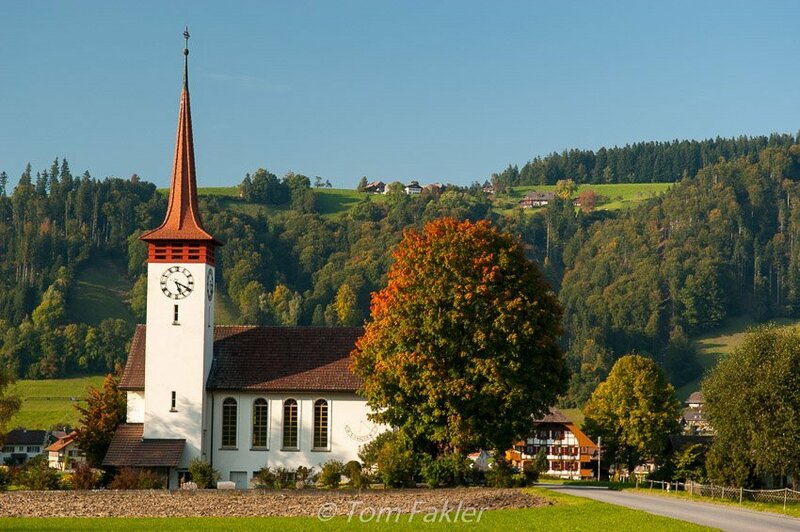 Hi Rachel and thanks for your comment…actually, you have some time for a show of autumn color in Switzerland. They are starting to change now, but will be putting on the color through October! Higher elevations will of course finish sooner. Ticino, on the southern side of the Alps, is good all the way to mid-November (in recent years, anyway). A colorful alternative closer to you might be the Black Forest, or the region along the Bodensee. Just a thought. Yes, you have tempted for a fall visit to Switzerland. It sounds like the Swiss know how to do festivals and with so many good reasons to celebrate. My one and only visit to Switzerland was in mid-November, so much different than earlier in the season, but still beautiful and with a special dramatic feel. I can’t imagine that there would be a bad time to visit. Yes, Switzerland is great year-round! For me, though, it gets a special boost in the fall, when the combination of autumn color and foods take center stage. You should definitely return when the Swiss are working their festival magic. Enjoyed reading your article.We are planning a trip to Switzerland next year.Is early September too early for the gorgeous fall colours we are hoping to see?I don’t want to risk going later than that and having to fight bad weather. The seasons seem to be less predictable than in the past. However, some Swiss customs, such as bringing cows down from mountain pastures happen mid-September, on a designated scheduled, and those experiences often come with the beginnings of beautiful fall color as well as changeable weather. I really don’t know exactly when is too early for beautiful color, but if you are flexible, you might want to check in with the Swiss tourism website and see when they start to talk about autumn travel. Whenever you go, have a great trip! Thanks for such an inspiring post, Anita! I usually thought of Switzerland as a nature-based tourism destination, but now I really want to explore the seasonal foods as well. I’m planning to visit this beautiful country in 2018, trying to choose between late spring and early autumn (to have warm days and fewer tourists). Checked some resources like Rough Guides https://www.roughguides.com/destinations/europe/switzerland/when-to-go/ and RoveMe https://rove.me/to/switzerland, quite informative but as I really liked your blog I think you could give some great personal advice. It’s going to be three of us, college friends who love nature, maybe visit a museum or two, and ready spend half of our budget on cheese and chocolate (and seasonal treats!). 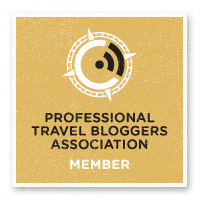 Thank you, Amanda…so happy you enjoy the blog! All of our posts are based on personal experience, with links to the providers when available. 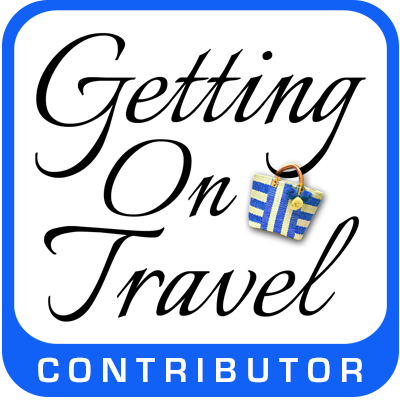 I’d suggest that you pop over to those websites for the latest information about activities and events that appeal to you and your group of travelers. Particulars of the experiences we recount may well have changed since we relocated from Switzerland to Portugal, so I think your best bet is to use our posts as a starting point. Good luck with planning your trip!